Our newsletter is published every month - keep up to date with all that's happening at school. Please click below to view our Rock Challenge photos. Any queries or questions will go to the Headteacher but may be forwarded to an appropriate member of staff. please refer to our Freedom of Information Publication Scheme for more details. We have compiled a glossary of terms that you may see in our newsletters with their explanations! You can browse our Lending Library shelves from the comfort of your own home! Simply look through the books on our page with your child, read the blurb and make your choice. When you come into school, look for the book in its display area. It may already be out on loan but don’t worry. The Lending Library Champions monitor how long books are out and send regular reminders! There are lots of books to choose from. Also our readers can become published writers by writing their own blog about a book they have read which will then be displayed on our website. Click on the link for more details! By shopping on-line using School Angel the school's PTA will receive valuable funds to enrich your child's experience at school and to subsidise the cost of trips. Thank you. To raise funds for Beckstone Primary School just visit the School Angel website and click on a retailer, all of the profit goes to help the school and you get exactly the same deal as if you had visited the retailers website direct. There is no need for you to create an account and we don't need any of your personal details. 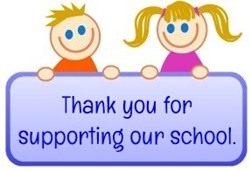 We will simply track your donation straight back to your school every time you visit School Angel. Thank you. The leadership team has maintained the high quality of education since the last inspection. Governors are very ambitious for the school and have the children at the heart of everything they do. Pupils benefit from good teaching at all levels. Staff have good subject knowledge to ensure teaching is matched well to pupils’ needs. As a result of exciting and innovative approaches to encourage pupils to read the pupils develop a love of reading. Pupils read fluently and with expression and reading is taught well. Early Years staff provide a stimulating environment that is filled with language. Children are eager to learn and are proud of their achievements. Pupils are very well behaved. They are always polite and well mannered. Tolerance and respect for others are clear in their work and their behaviours. Safeguarding is effective and is part of all that the school does. Parents speak very highly of the school. They value the individual attention that pupils receive. One parent said: “It’s a big school with a small school feel”. A text message will be sent to all parents (it is of vital importance we have an up to date mobile number contacts for every child). The County Council website carries information on schools that are closed. CFM and Radio Cumbria will be informed and closure details will be included in their broadcasts. A message will be placed on the school website. Local businesses can advertise in our monthly newsletter at a cost of £5 per issue. The cost of placing an advert provides much needed funds for the school. Please try and support the businesses advertised and let them know you have seen the advert. If you know of anyone who would like to advertise in future newsletters (which reach nearly 300 local households in paper form and worldwide on our website!) then please let the school know. Please click on the icon below to view our current sponsors. Beckstone Primary School is committed to safeguarding and promoting the welfare of children and young people. To view our website we ask you to accept our policies. For more information please click on the button below.